this creamy strawberry matcha latte is inspired by the version from boba guys, a pearl milk tea empire that originated in the bay area. i love that it’s strong on the tea flavor, and that it tastes like real strawberries (no artificial strawberry milk-like flavors here!). my main motto for my last year of college was don’t settle. don’t settle for friends that you don’t truly want to hang out with at the end of the day, don’t settle for a job that you don’t want. this mentality has also permeated my blogging standards. i used to throw up pictures here simply because i had them, even if i no longer liked/was proud of them. so this strawberry matcha latte went through quite a few photoshoot attempts, even though it’s been its unapologetically delicious berry and matcha self from the first. the original set i took, at least 2 years ago, was blah. the matcha kept separating, and it was watery on the bottom and dark green on top. the second set i took had such a harsh glare (the sun + my cups were not friends, and my photog skills were v limited at that point so i couldn’t make them get along). and then the third time i tried to take them, the pics got corrupted. argh. so instead of settling with the first or second sets, i took another set, and they came out great, matcha swirl in the middle and all. 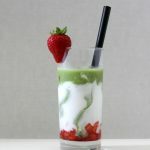 This strawberry matcha latte combines sweet strawberries, creamy milk and slightly bitter matcha into a drink that's refreshing and decadent. Combine the strawberries and sugar in a small bowl. Let sit for 15-30 minutes, or until the berries are juicy. Mash them coarsely with a fork, or pulse it in a food processor/blender until the berries are broken down a bit. Whisk the matcha and hot water until frothy. In a serving glass, add a couple spoonfuls of your mix-in. Spoon in the strawberries, then fill the rest of the glass with ice (or don’t; I like light ice, so I only added a handful). Add the milk, then the matcha. Make sure to pour gently and slowly if you want to make sure the layers stay distinct. Adapted slightly from Honeysuckle Catering. 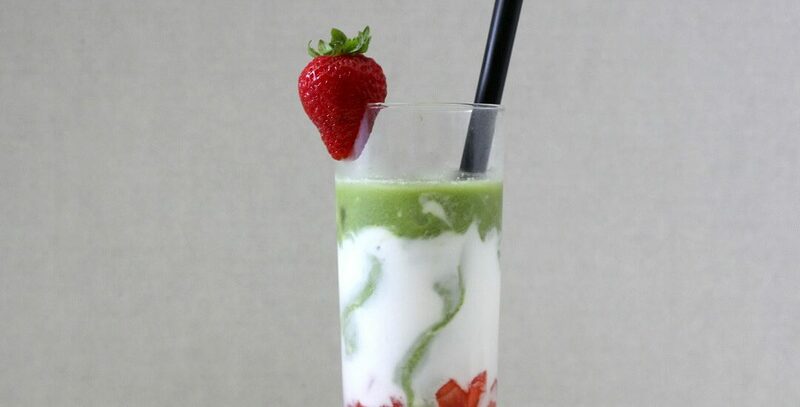 I like all the swirls of matcha and milk next to each other, I bet this is really refreshing. Those swirls are awesome! I’d definitely settle for that anytime of day! YUM!! This is one beautiful picture!! Beautiful photo, Heather! 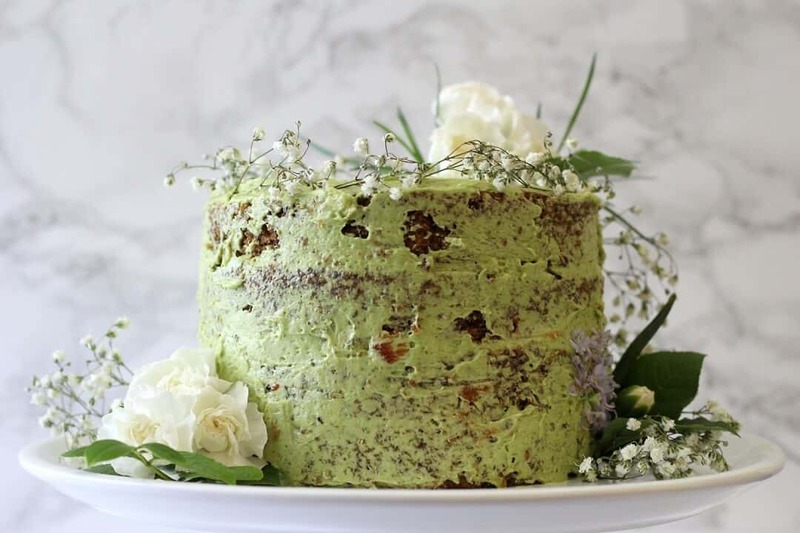 My son is a big matcha fan and this recipe looks so easy – I never knew how easy this type of beverage is to make! I’m all over this! No settling for me either! Ahhhh drinks are so hard to photograph, but your perseverance paid off, your shots are stunning. haha i still don’t really have lighting down (; i want to make this again and make the pics even sharper! I am going to adopt that term: don’t settle! Just tried this and it is delicious!! I wouldn’t have thought to pair strawberries with matcha but it works! First off, how you made a drink look good for a photo is BEYOND ME. And secondly, this looks phenomenal and sounds phenomenal too! 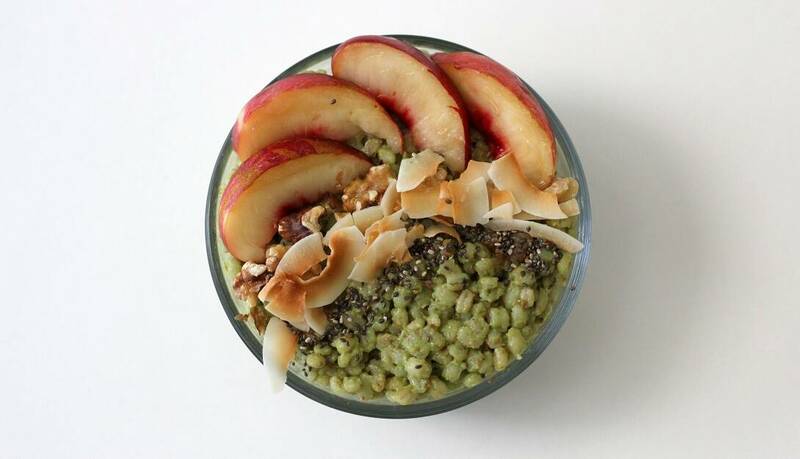 I am not really a matcha person but mixed with everything else, yes please! What an awesome photo! This drink looks so cool with the swirl and layers. 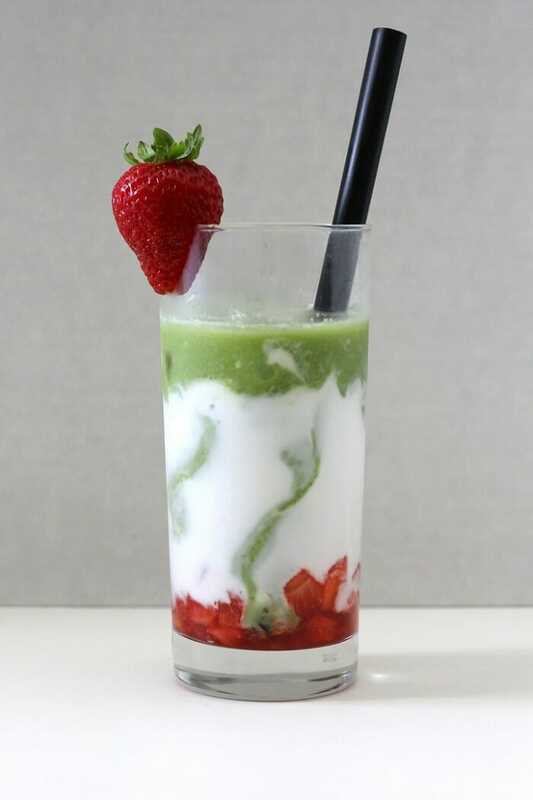 Love the combo of strawberry and matcha! I really like your strawberry matcha latte picture! Sometimes, we can be harsh on ourselves, which is fine because we want to push out high quality content. Still, I haven’t made strawberry matcha latte before BUT I am interested! I’ve had strawberry milk and LOVE it so much! You’ve nailed it with this shot and this recipe. This latte is picture perfect! This is picture perfect, Heather! The colors are beautiful, and it looks delicious!! The third time is a charm!! thanks thao! (and tbh if it takes more than 3 tries, i have doubts about if a recipe will ever come together lolol). Heather, bravo! I cooked it with strawberries, it turned out just amazing!!! Thank you!